Come enjoy the Florida Lifestyle at its best in this 1600+ sf WATERFRONT home located in the attractive GATED Community of Coral Lakes. The light and bright OPEN FLOOR PLAN offers a great room with sliders leading out to the screened lanai and a GORGEOUS VIEW of the water. Master bedroom offers more of that WATERFRONT view, a separate entry to the lanai area, two walk-in closets, en suite bathroom with large soaking tub, dual sinks and a large shower. 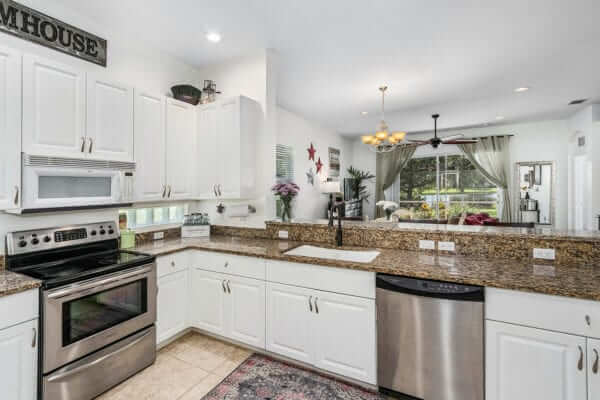 Spacious Kitchen with: STAINLESS appliances, GRANITE, glass block under cabinets for lots of light, pantry, and tiled floors. The two guest bedrooms share a ‘Jack and Jill’ full bath. Impressive high ceilings. A/C NEW in 2016. TILED ROOF. Exterior painted 2017. Wood-like flooring NEW in 2013. Upgraded fans and fixtures. Separate Laundry room. Beautiful COMMUNITY POOL w/SPA, grand clubhouse, fitness room, volleyball, play area, basketball and more. County website shows this property does NOT REQUIRE FLOOD INSURANCE and your insurance company will be happy to hear that this home comes with STORM SHUTTERS too. Close to grocery, restaurants, shopping and more…. and Ft Myers International Airport, is only about 25 miles away. Location! Location! Location! 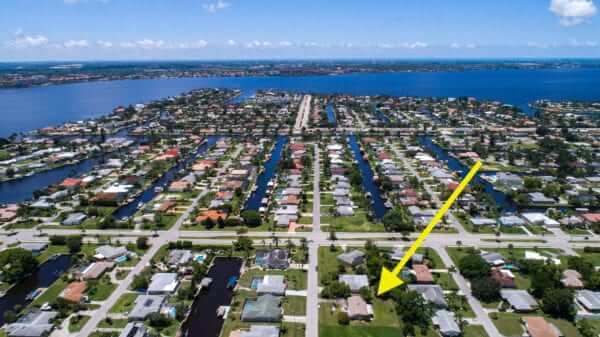 This home is across from waterfront Homes and has quick access to YACHT CLUB beach, Cape Coral Bridge, Fort Myers, shopping, restaurants, grocery, and more…. REMODELED KITCHEN with STAINLESS APPLIANCES and GRANITE. Island style countertop seating. Grand four-panel sliders open up to a spacious: covered, screened and tiled lanai for outdoors living. Living room has custom lighted cabinetry. Separate dining area. Carpets recently cleaned. MAN CAVE/utility room has entry way from the main bathroom and also from the lanai area. Laundry room in residence with washer, dryer, storage, and utility tub. Both master bedroom and guess room have extra long closets. En-suite Master bathroom with shower. Big inviting backyard. Screened entryway with bench. Groomed landscaping with palm trees. Extended paved parking area off the driveway. Western exposure. Wind rated garage door NEW in 2015. City water/sewer in and ASSESSMENTS PAID! 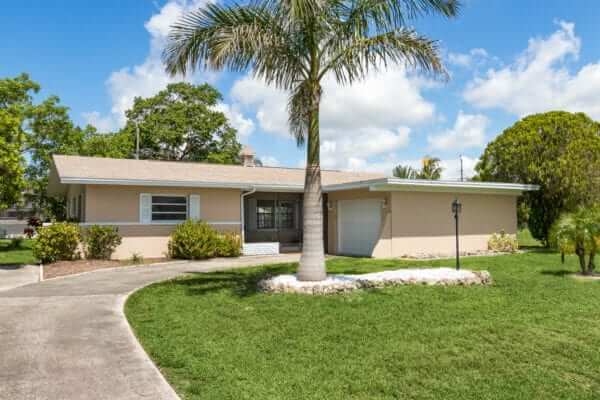 Easy access to Sanibel Island and Fort Myers Beach. AND….. Fort Myers International Airport is only about 17 miles away. Hurry! 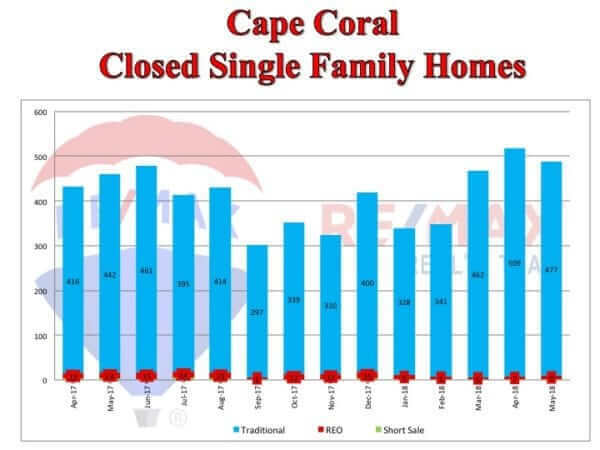 487 total single family home sales in Cape Coral for May, the highest number of closings (May) in over 8 years. Inventory levels dropped again last month to 1,850, last month over 25% of listings came off the market. 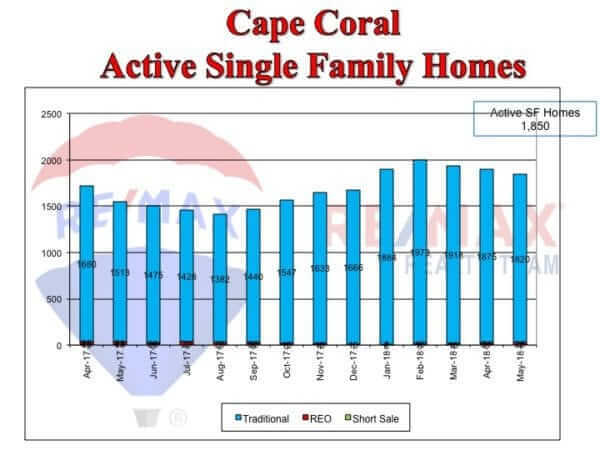 The average sales price dipped from last month’s high of $300k, however, year over year Cape Coral saw an increase in appreciation of 8.2%. The average price of a single family home totaled $289k. New Construction permits totaled 232 in May, an increase of 21% in one month. Fort Myers reached its much-anticipated peak of the year! Total closings totaled 404 an increase of 10% from May of 2017. Inventory levels declined by over 7% driving this market into a seller’s market! 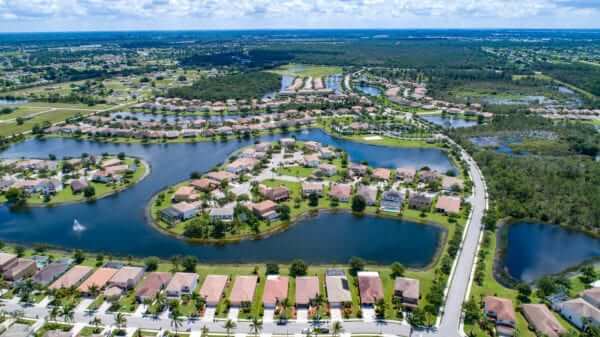 With an increase in sales and a decrease in active inventory, appreciation in Fort Myers rose to nearly 13%. The average single family home equaled $345k. The requirements you need to meet in Florida to qualify for an emotional support animal letter are the same as in the other states. The only distinction is that you will need to get a letter from a Florida licensed mental health professional in order to qualify. This is because ESA laws are based on the Air Carrier Access Act and the Fair Housing Act. Please note this is different than a service animal. Most lenders charge borrowers for appraisals when they are ordered (typically $500 cost), the Borrower pays the $500 for the appraisal and then the amount is deducted at closing towards the 3.5% down payment. FHA is cracking down on the use of a credit card. If one is used, (credit card), the amount can’t be used towards the down payment and the new credit card debt must be calculated. Although the new debt may not be a deal killer, it may create some delays. Borrowers are encouraged to use debit cards in order to avoid cash to close or debt to income issues. Fannie Mae has updated their guidelines EFFECTIVE JUNE 5TH!